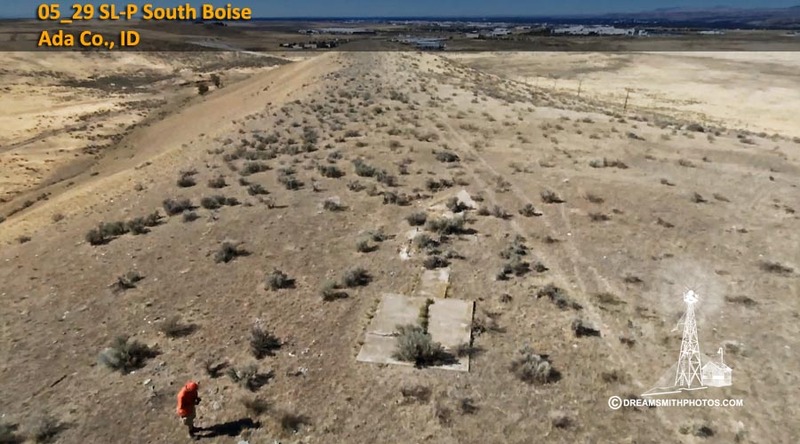 The Boise South Arrow is located north of I-84 and just east of Boise, Idaho. We could not drive to the arrow, so I had to walk approximately ¾ of a mile to reach it. It was an easy walk on both level ground and up the side of a small hill. From the arrow I had an unobstructed and great view of the city of Boise. The arrow is basically in fair condition. However, all that remains now of the center of the arrow where the beacon stood is a small concrete portion of the sides. The arrow is 57 feet in length. The pilot would approach the tail of the arrow on a compass heading of 318° (N-NW), and then exit the arrow on a compass heading of 318° (N-NW). 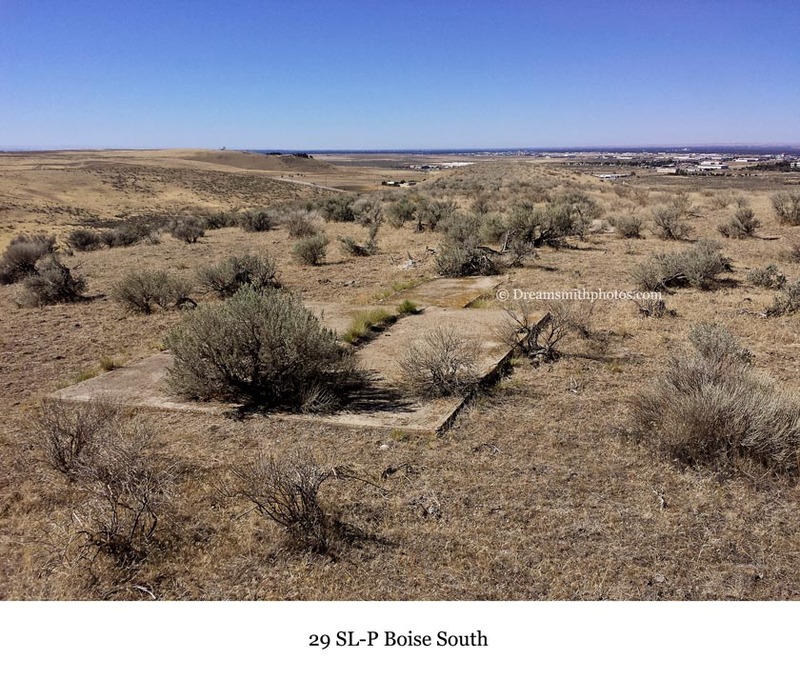 Station Description Described By Coast And Geodetic Survey 1959 (WWH) A standard airway beacon situated 8 miles southeast from Boise along the crest of the ridge of the low hills, and about 1 mile northeast of U.S. highway 30. The center of the rotating light was intersected. Station Recovery (1961) Recovery note by coast and geodetic survey 1961 (WTJ) Recovered as described in good condition. Station Recovery (1965) Recovery note by Coast And Geodetic Survey 1965 (JJC) The station was recovered as originally described and found to be in good condition. Station Recovery (1968) Recovery note by Coast And Geodetic Survey 1968 (EP) station recovered in good condition. The beacon light is no longer in use. 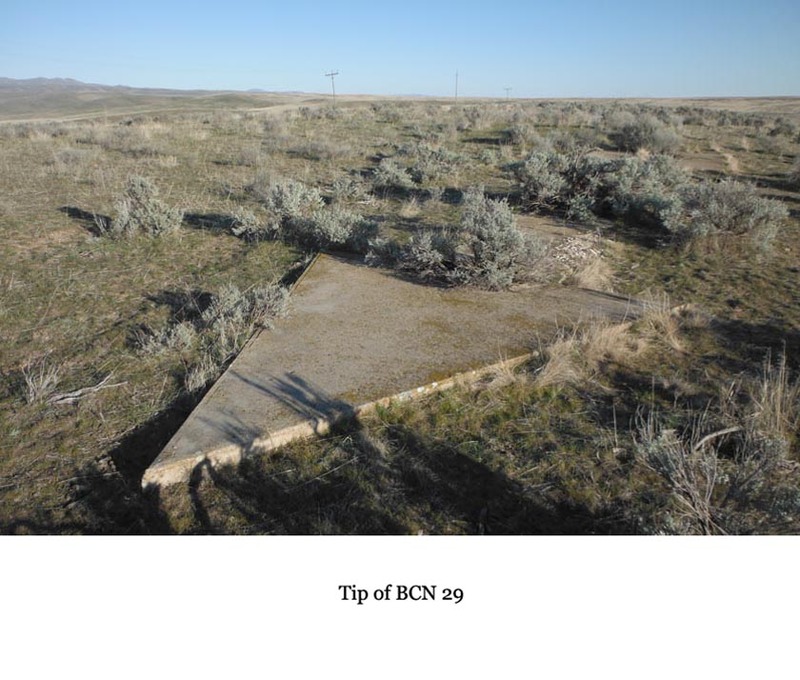 Station Recovery (1976) Recovery note by National Geodetic Survey 1976 (JJP) Tower and beacon have been removed. 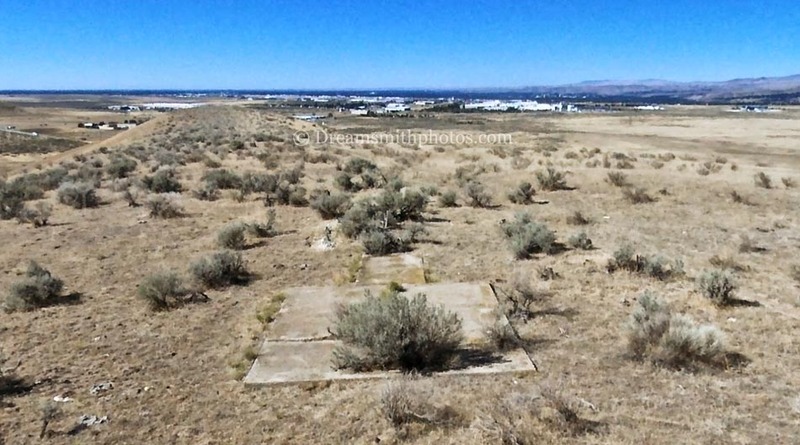 Distance and direction from nearest town--about 8 miles SE of Boise.